Description: Join Dr. Lamar as he interviews Danbury, CT chiropractor, Dr. Rennie Statler, who, along with a handful of colleagues, hopped a plane — nine days following the January 2010 catastrophic 7.0 magnitude earthquake that shook the capital city of Haiti to mere rubble — to hand-deliver food, water, and, of course, chiropractic care. (part 1 of 2). 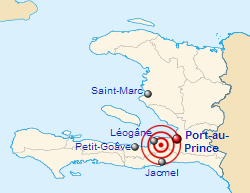 The 7.0 earthquake shook the country of Haiti on January 12, 2010 — with an epicenter near the city of Léogâne, 16 miles west of the capital city of Port-au-Prince. Rennie Statler, D.C., D.A.C.B.N, C.C.S.P. Read the Dynamic Chiropractic Article about his Haiti Experience. Want to get involved? Visit missionlifeintl.com now! Spinal Column Radio, episode number eleven. Coming up next on Spinal Column Radio — Lending a Healing Hand in Haiti. Part 1. On January 12, 2010… the already hurting country of Haiti was dealt a devastating blow when a 7.0 magnitude earthquake shook the capital city of Port-au-Prince to mere rubble. The world has cried out in sorrow and has responded with an outpouring of humanitarian efforts. While many immediately think of food, water, shelter, and clothing when it comes to such relief efforts… Dr. Rennie Statler, of Danbury, CT added chiropractic care to that list when he, along with a team of colleagues, hopped a plane and headed south to help out. Today on Spinal Column Radio… Rennie Statler… fits the description of an “Extraordinary Chiropractor doing an Extraordinary Thing”… which is exactly what you’ll hear from time to time on this show. I first learned of Dr. Statler’s amazing story earlier this month when the April 9th edition of Dynamic Chiropractic landed on my desk — that’s one of our profession’s widely read trade publications…. And there on the front page, above the fold, was his story. And I thought, this is a story that needs to be told to as many people as possible. To not only provide another angle, or view point, on this devastating event that Haiti suffered… but to provide the inspiration for others to help this country heal and rebuild. So I immediately emailed the dear doctor and asked if he would come on our show to tell his story. And I’m please to report that he did just that. Dr. Statler is extremely accomplished… his resume is longer than my arm. He’s a 1996 graduate of the University of Bridgeport College of Chiropractic, and he holds multiple postdoctorate certifications and degrees (I’ll post a link in the show notes if you are interested in finding out exactly what those are)… but above all of those letters and educational puffery… what you are about to hear in this interview… is the real deal. Dr. Rennie Statler wears his heart on his sleeve and is here to serve mankind… whatever the circumstances. 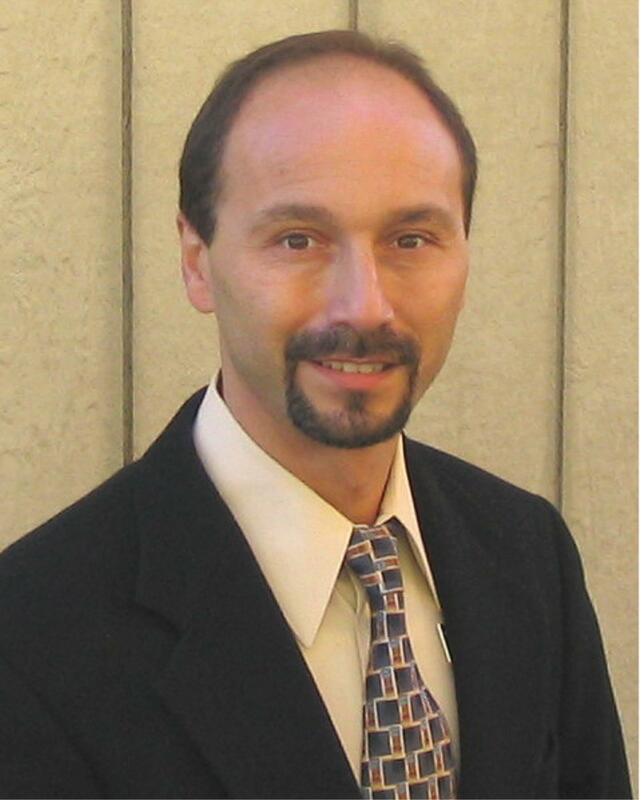 Dr. Thomas Lamar: Joining us on the telephone today from his chiropractic practice in Danbury, CT is Dr. Rennie Statler. Dr. Statler, welcome to Spinal Column Radio! Dr. Rennie Statler: Thank you for having me. TL: Now let me just say, it is truly a pleasure to have you on our show. And I’m so looking forward to our conversation. TL: Now you have a life changing story to share that I think many will find very interesting and inspiring. You, along with a group of other chiropractors answered a call to take your chiropractic skills out of your comfortable office, away from insurance reimbursement, to a place where CPT and ICD-9 Codes do not exist. Of course, I’m talking about a country that now stands in ruins following their catastrophic earthquake of January 2010. And that country is Haiti. Let’s go back to January 20, 2010. It’s eight days after the earthquake had occurred. It’s a Wednesday. You’re practicing chiropractic in your Danbury, CT office — probably one of your busier days. …And then you do something on your lunch break that you normally do not do. You check your email. Go ahead and take the story from there if you could. RS: Well, like you said it was a busy day. I normally do not check my email. I have very little time at my lunch break. For some reason, I check the email. And, it came up with a search for chiropractors to help out in Haiti. Well, I open that email up, and I knew a person who had sent it to me and she was a very reliable, well respected colleague. So, I open it up and there was a doctor from New York asking for volunteers to help out in Haiti. I called this doctor up, Dr. Peter Morgan, and we spoke about going down into Haiti and it was going to be relatively quick. He needed to know by the end of the day if I was able to arrange everything. RS: And I told him I would give him a call back as soon as I could get any type of arrangements to cover my offices. I hung up with him and within a half hour, forty-five minuets I had my offices covered. I had, within about two hours or so, a plane ticket and by the end of the night time, six hours later, I had everything confirmed and my sleeping bag packed and ready to go. TL: Unbelievable. Let me just kind of back up there for a second. You basically, within just a matter of hours, you’re ready to go. You get a call from this guy saying “Hey, Dr. Statler, we need you to go down to Haiti.” And you’re like “Let me just go ahead and see if I can’t take care of some loose ends here on my side.” You have two chiropractic offices, correct? TL: One is in Danbury, CT the other one in Yonkers, NY. How do you go about covering offices so quickly? RS: I have a group of colleagues who… I’ve worked with two chiropractors in my Connecticut office. In my Yonkers’ office I’m a solo practitioner, and I had colleagues who I gave a phone call and asked them if they would cover my practice for me. And telling them why. That was their way of helping me out with the Haiti mission. TL: Very cool. And then… you wrote an article for Dynamic Chiropractic and we talked about that at the opening of the show. But, you mentioned in there that you also were able to get donations to go in that short period of time as well. RS: Yes I did. I made a couple of phone calls, told people what I was doing …and where I was going …and why and if they would like to make donations …and it was a nice outpour of people making donations to the Haiti relief effort. TL: Wow! Ok, so back to your story then. You now have a plane ticket in hand, and you’re on a plane literally like within twenty-four hours of the phone call to Dr. Morgan is that about right? RS: That is absolutely correct — actually less than twenty-four hours I was on a plane heading over to Haiti. I had met Dr. Morgan and a group of chiropractors at the airport. Never even knew them before. And the next thing we were all on a plane heading to Haiti. TL: And what was your… how would you say this?… What was your mission? Was there a pre-established mission? Obviously you are going as a chiropractor but did you kind of tie into a mission that was going down there? RS: Yes, we did. We tied into the mission of bringing help, water to Haiti. Any type of food we could bring. We flew into the Dominican Republic. So, we knew we had an opportunity to… we had a couple of big cars, SUV’s with us. We knew we had an opportunity to grab some food, buy some food, mostly rice, water filtration devices, water jugs and bring it over to the Haitians. They had nothing. We knew they had nothing and that was our first and primary mission. Our second mission was to introduce them to the chiropractic care and relief through chiropractic. TL: Ok, and you were just mentioning that you were with a group of chiropractors. About how many went down with you? RS: There was seven chiropractors that went down with us and we also joined a missionary from New York, two missionaries who have a sister missionary school out there. We joined them and we all went. So, nine of us total. TL: I hate to put you on the spot but do you want to rattle off their names? RS: Sure. That is putting me on the spot! RS: Dr. Morgan, there’s one of them. TL: Peter Morgan, we mentioned him. RS: Yeah, from Minnesota. And then we had two missionaries, Herman Mendoza and his wife Alexandra, and they are from Stepping Stones Ministries in New York. TL: Fantastic! I was just thinking about the chiropractic intern. What a way to enter into the chiropractic profession. RS: It was a very nice, gratifying to see that someone would step up at the last minute to come out and join us when he has all these other requirements with school. TL: Oh, sure yeah. I remember that well. It was only what? Fifteen years ago or so. RS: Yes, it was very nice. TL: That’s fantastic! So, you guys flew down to the Dominican Republic and you’re in Santo Domingo, correct? TL: You have food. You have water, water filtration devices and chiropractic care to deliver to the Haitians. TL: Did you have any problems with either government? Because first you’re in basically two countries going down there, right? You land in one country then drive over to the next? RS: Correct. There was absolutely no trouble whatsoever with the government. We had chiropractic tables that we folded up, portable tables. We brought them on the plane. Put them into our cars. There was not one bit of trouble. TL: So you had two? Ok. So clearly, two chiropractic tables, eight chiropractors right? TL: Ok, that will be interesting. We’ll talk more about that. Did you bring any other chiropractic… you know, gadgetry or devices? TL: Only your hands. Oh, I love that. Ok, so you’re on your way then to Port-au-Prince, Haiti? TL: And you’re going to drive in an automobile. TL: How long does it take to do that, and what are the road conditions like? RS: Well, it took us ten hours. We started out and… after we landed we loaded up the vehicles …we started out and of course it was getting to be nighttime throughout the journey. The road conditions were horrible. Very bumpy. No lights. You really can’t see ahead of you. It’s just driving in pitch black. It was quite challenging. We had two carloads so we would always stop after a little bit and try to wake each other up. And keep everyone awake and the drivers awake. It was very bumpy. It was a very challenging ride for ten hours. TL: Wow. And I would imagine that all the while you’re thinking about what’s to come. TL: Yeah. Now, I want to let our listeners know, this is not your first chiropractic relief effort. As a matter of fact, you put in some extensive time helping out with the 9/11 attacks. Which, I commend you for and I certainly want to have you back on our show to talk about that in the future. But, in some way with that background you probably had an idea of what you might be up against. Take us now into Haiti, and more specifically Port-au-Prince, and paint a picture for us. What did you see? Was it 9/11 all over again or was it different? RS: It was different. 9/11 was contained. When I went down to 9/11 it was still on fire. There was heavy smoke billowing around, just lingering in the city area. Port-au-Prince… totally different. As far as you could see there was ruin. It was just devastation as far as you could see. Up the hills, to your left, to your right. Everywhere you looked. There was just rubble. They didn’t have smoke and you didn’t have concern of not being able to breath or see anything. I did come prepared with face masks if the smell became too bad because I had no idea what to expect. I came pretty prepared from what I had experienced down at 9/11, and when we did get into the heart of Port-au-Prince, the smell was overcoming. I did have extra masks, breathing masks for the other doctors with us. And it was, as I said, everywhere you looked there was just… you were at awe at how big a building could just fall. You would just see floors packed upon floors. You’d know that this building was six stories tall but it’s now a half a story tall because you could count the layers of the floor just sandwiching one on top of another. TL: Wow. And you mention in your article — and I picked up on it — about numbers that were spray painted on the buildings. RS: Yes. We would be driving by all these ruins — ruined buildings. We had drivers with us, local Haitians and Dominicans with us and we would ask, what are these numbers painted? And they would tell us those are the numbers of people who had died inside that complex. RS: That made your hair stand up. Because those people inside those complexes were still inside. They weren’t rescued. They weren’t retrieved. They were still in there …so the decomposition and the smell of the decomposition was overpowering. TL: Wow. And so now you’ve mentioned a couple of different senses. You’ve mentioned smell. You’ve mentioned sight. Take us through some of the other senses. What did you hear? RS: Let’s see… that’s very good. Beginning on the outskirts of Port-au-Prince it was very quiet. So, you almost are unaware of what to expect because of the quietness. When we went into the town itself you had a lot of commotion. A lot of people talking. You heard crying. You saw people… when you heard the lo… metal on rocks or cinder blocks trying to move stones or chip away at stones. You didn’t hear a lot of heavy machinery. TL: That would have been a big difference between 9/11 would it not? RS: Yes. 9/11 you heard machinery. Port-au-Prince, Haiti there wasn’t machinery. TL: Wow, so no Cats and John Deere’s working overtime out there. RS: No, no nothing like that. TL: No smell of diesel fuel fumes. RS: No smell of diesel fuel whatsoever. TL: What about, well feeling? What did you feel? Did you feel any aftershocks? RS: The first night bad, or yes. The first night we stayed in Haiti we actually stayed at one of the Haitians’ homes that didn’t get destroyed, from the sister ministry from New York. We did stay at someone’s house, and we all brought sleeping bags just in case. We would sleep in I believe it was around 4:00, 4:15 in the morning. There was a huge aftershock. A 4-point something, 4.8 or something like that. And it did wake us up, and I was sleeping inside on my sleeping bag …and I just opened up my eyes and I’m laying in the house saying “Ok, this is an aftershock. It’s shakes… woke me up. Now I’m just going to go back to sleep. Nothing is going to happen to me,” I’m thinking. I laid there for about five more minutes. And I just couldn’t stay there anymore. I got up and went outside and slept on the ground. RS: I got out of the building and for the rest of the time there, we either slept on the ground or slept in the cars. TL: That’s probably a good idea. RS: We did. We had the local cooking at that facility. When we bought the food and water in the Dominican Republic, I saw some canned goods that I decided I better pick up some canned goods just in case there’s nothing to eat. Didn’t know what the water supply would be like. Didn’t know what the cooking would be over in Haiti. So, I picked up some canned goods for everybody and myself. After eating the first meal over there, it didn’t totally agree with me. I knew I came for a mission. I didn’t want to be sick. So, from then on in I ate canned goods. I wouldn’t challenge eating the Haitian food however it was cooked, with what water or cleanliness. I didn’t eat any of the food. Rest of the group ate some food. One doctor wound up with dysentery from the water. So, I took a pro-active approach and stayed away from the food. TL: Sounds like a wise move. Ok. One more thing, can you paint a picture for us as to what you saw as far as the people were concerned? RS: Yes! The Haitian people was very friendly. We would pull up to tent cities. It’s an area where the Haitians just set up some type of living conditions. They would have tree branches or sticks and they would make posts out of them and put a blanket or a sheet or plastic as a tent. And they would live in those tents. We would pull up not knowing anybody. Just look for a large area. Take our tables out, take our water out, take our food out and we would go to the clearing next to the tent city. And Haitians would come over looking at what we had. We would give them water first. Everybody was really very thirsty, extremely dehydrated. We would work, giving them water first. Then we would set up the tables. Someone would lay down on a table and you can’t speak. They speak mostly Creole. We had some interpreters with us. They would tell them to lay down, that we’re going to make them feel better. They would trust us, lay down. We would work on them, examine them, make sure there is no broken bones or anything. Start working on them. Adjust full spine. Get up. They would look at us, smile, shake our hands, and start moving around to make sure everything is ok. Turn around. Say something to the crowd, and you just had a line up of everybody in that tent city — and we would be adjusting for four to five hours straight. RS: Now, we had two tables. That didn’t stop us from working with giving chiropractic care to people seated. If there was a wall we had some chiropractors working on patients lying on a wall. We just worked on… they would carry other haitians over and ask us through an interpretation “Could I bring someone who is hurt?” Of course. Carry people over to us and we would work with them and get them to come back the following day and work with them and they would wind up feeling great. TL: You and I briefly talked prior to our interview and we both pretty much agree that as far as we knew chiropractic is not practiced in Haiti. TL: What is it like to not only be up against a language barrier but I guess a chiropractic barrier as well? I mean, they had no idea what you were doing. RS: Well, on one front it’s a barrier — a negative barrier — because they have no idea what we’re doing. On the other front it’s a benefit because they don’t have any bias towards chiropractic. So, the truth was in the first person that would lay down and let us work on them. They would get up smiling, thanking us, telling… all I could expect is telling the other people that they feel good and to come and get some work on. There was no hesitation whatsoever about someone laying down and getting worked on. At one point we stopped for gas and one of the chiropractors wanted to get adjusted. We had just finished working for five hours. So, I take the table out, start adjusting the person while we’re getting gas, and we had a crowd in the gas station that we had to work on. TL: Tell me if I am correct here… I’m kind of picturing you guys maybe setting up camp– or not camp but up your office — somewhere, And a bunch of Haitians, kind of observing you from afar, waiting to see what’s going to happen with that first patient that goes on the table. RS: Correct. That’s exactly what it was. They were fifty feet away just watching. TL: Yeah and then once they see that that person gets up and has a renewed sense of energy and is smiling and moving and maybe dancing in some cases. The line just flows. RS: It just… as far as you could see it was people getting… waiting to get treated. TL: Now, did you have any crowd control issues or concerns? RS: When we were giving out rice and food at one location, we had fifteen large bags of rice in the back of our truck. We would… we had it inside the truck and some of the other doctors were scooping the rice, putting in little baggies. We brought a bunch of little baggies so everyone could get a portion of the rice. We stopped. There was maybe fifty people. We turn around, there’s now a hundred and fifty. Within minutes there was hundreds and all you could see was Haitians trying to push to get food. I asked five young Haitian males if they already got their food. They said yes. I said good, help me control. So we set up a barrier to have people come through, walk through one at a time, two at a time to the back door of the vehicle. Get their rice and continue on. That was the only time that it almost got out of control. They just started pushing in harder and harder. Nobody wanted to miss out on the rice. We assured them that there was enough. I actually had to stand up on a vehicle and just ask people, waving my hands to step back. And the Haitian interpreters, they would tell everyone that there’s plenty, there’s enough. And I was praying that there was enough, honestly. TL: I bet you were. Well, we are going to press pause on our interview for right now and wrap up this particular episode of Spinal Column Radio. I’d like to encourage you to check out our show notes for this episode where you will find some photos of the devastation that they witnessed while in Port-au-Prince, Haiti. You’ll also find a link to the Dynamic Chiropractic article that Dr. Statler wrote — the one that inspired me to email him. As well as an article that I wrote for SpinalColumnBlog.com that summarizes our interview with him today, along with some additional photos. You’ll want to tune in next when we continue our conversation with Dr. Statler with a little chiropractic shop talk… also I enlist the help of my children to ask Dr. Statler some questions. You’ll especially want to hear the question my 3 year-old son asks. Thanks so much to Dr. Statler for joining us today. Let’s get this story out to as many people as possible. Utilize our socializing links in the show notes to FaceBook your friends, Twitter your followers, and email your friends… as well as a bunch of other options. Let’s continue to fuel the flames of humanitarian effort through Dr. Statler’s amazing story. Next time on Spinal Column Radio, it’s part 2 and the conclusion of “Lending a Healing Hand in Haiti” with Dr. Rennie Statler… that’s in two weeks. So, until then, for my son Logan, tweaking the knobs on the sound board, this is Dr. Thomas Lamar, your podcast chiropractor.